How about Saturday? 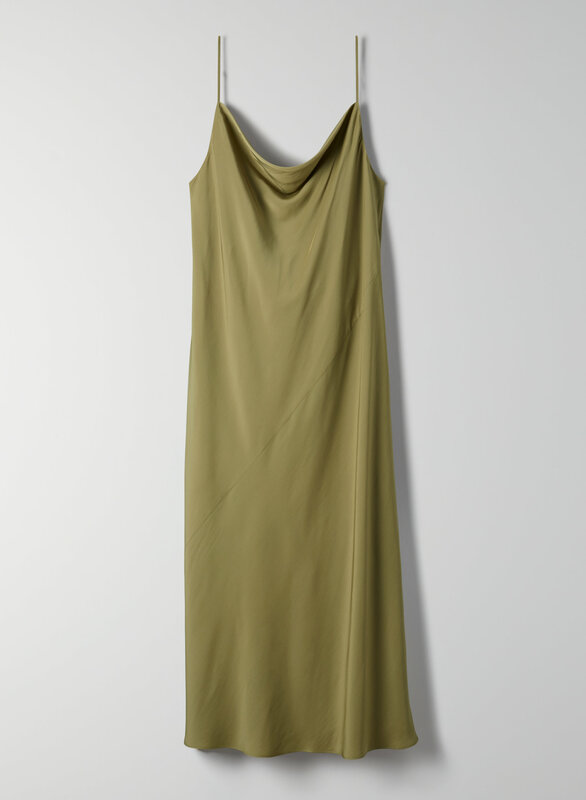 This is a long, cowl-neck dress with a cross back. It's made from a drapey, textural fabric.